The luxurious Erato hall can accommodate up to 400 people for a seated dining and up to 600 people for a conference event. It has the most modern audio-visual equipment and a private bar for a better and quicker service for the guests. 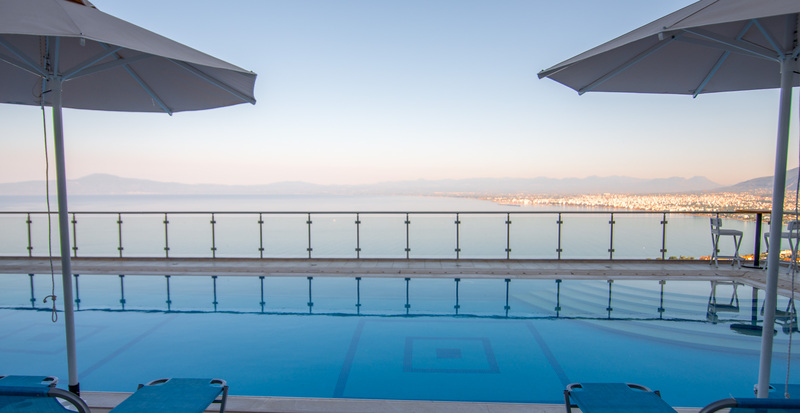 Erato Hall is also surrounded by a stunning pool bar. 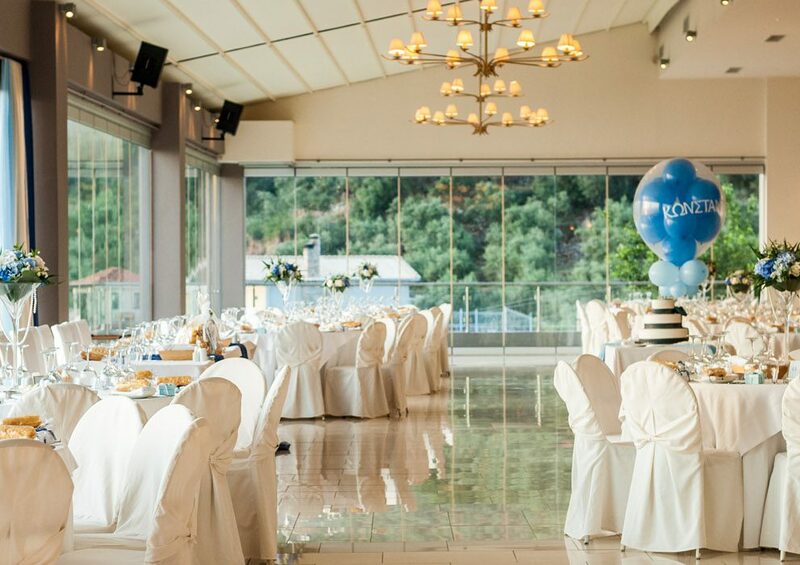 The wooden bar together with the large swimming pool, which is decorated with many plants and comes with panoramic views over the Messinian bay, are suitable for intervals between conferences, lunches and wedding receptions. One of the largest event rooms in Messinia, the Atrium hall can accommodate up to 600 people for a seated dining and up to 800 people for conferences. It has the most modern audio-visual equipment and a private bar for a better and quicker service for the guests. The Atrium Hall as well as all areas and rooms surrounding it are fully air- conditioned. The sunroof Atrium Hall offers spectacular moments that will make your event unique, satisfying your most demanding guests.